Believe it or not, factors such as climate and exposure to the elements can have an effect on the way your golf balls play. If you’re storing them in a car trunk during hot weather or noticing surface damage such as scratches and cracks, a less than pristine condition can make all the difference between hitting the green or getting stuck in a sand trap. Here, we answer some of the most frequently asked questions regarding golf ball care. Can golf balls go bad? Obviously, hitting a golf ball that’s been around for five years isn’t going to be as sharp (er, round) as a brand, spanking new ball hot off the shelf. No problem though, because unless your balls are kept in extreme temperatures on a consistent basis (70 -80 degrees Fahrenheit is recommended), they can last years and play just fine. Can golf balls get waterlogged? When a golf ball is struck, micro-cracks are made in the ball’s protective coating, which is designed to be water permeable. The more golf balls are exposed to moisture and humidity, the more water they absorb and performance can be hindered. If you collect a ball from a pond, ask yourself if it has been submerged for less than 12 hours, because that’s how long it can take to affect the resilience. Drying balls after they’ve been in water can help combat waterlogging. Can golf balls be recycled? 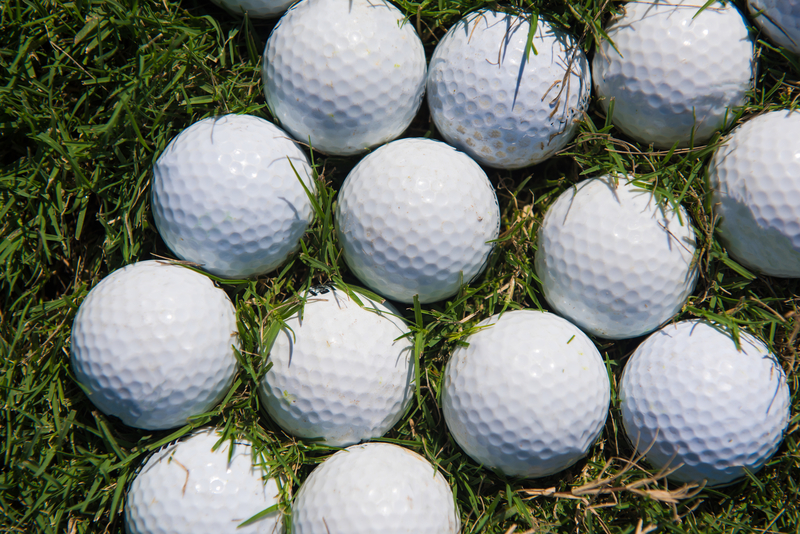 Golf balls CAN be recycled and there are businesses that will do the job for you. You can also buy refurbished golf balls to play with, doing your part to support eco-friendly golfing. How to store golf balls properly. Don’t fall prey to myths such as storing your balls in the freezer to prolong longevity- extreme temperatures, whether hot or cold can have a negative effective. Instead, simply keep balls stored in a cool, dry environment, like inside your home.